After a few months of testing bigger sitelinks, Google launched the new feature. 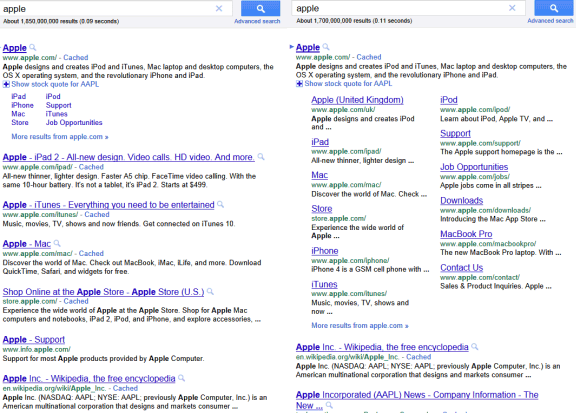 Sitelinks are displayed below some of the results and they're usually related pages from the same site. "The links (...) are meant to help users navigate your site. Our systems analyze the link structure of your site to find shortcuts that will save users time and allow them to quickly find the information they're looking for," explains Google. Until now, Google displayed up to 8 sitelinks and only included page titles. 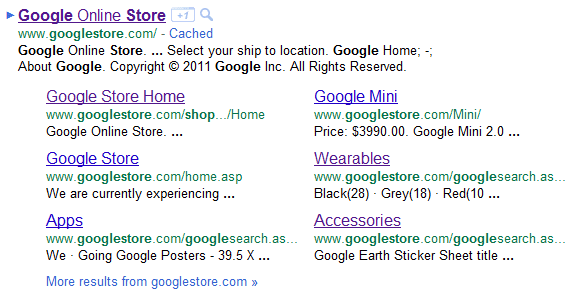 The updated sitelinks look like regular results, since Google also shows small snippets and their URLs. Google now shows up to 12 expanded sitelinks, but you'll still see the regular sitelinks for some of the results. I think that Google shows too many sitelinks, the snippets aren't useful because they're too short and the titles are good enough. Barry Schwartz thinks that the new "jumbo" sitelinks "take up most of the Google's search results real estate. Good for online reputation management, but not too great for others who want to rank well for those brand names." Unfortunately, they take up a lot of space without offering too much value. While it's useful to see links for Apple Support and iTunes when you search for [Apple], some people might want to read Apple news or Wikipedia's article about Apple and they have to scroll down to realize that there are results from other domains than apple.com. The new sitelinks partly address the problem created last year, when Google decided to show a large number of results from a domain "for queries that indicate a strong user interest in a particular domain". The expanded sitelinks combine the old sitelinks with the other results from the same site, while removing the overlapping results. 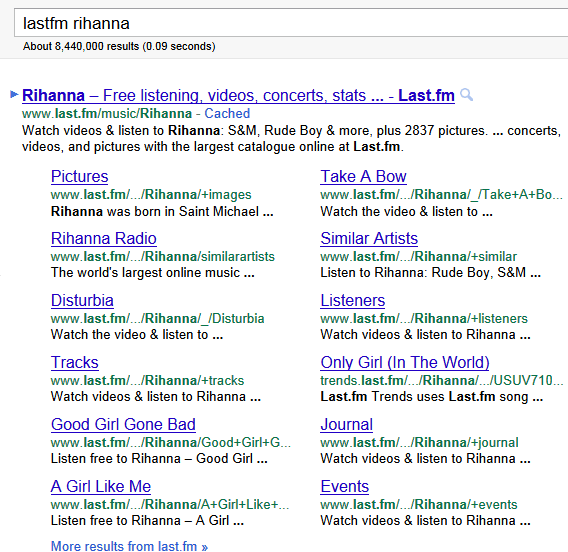 How to get My blog 's Expanded Search Result on Google Like in the Above image. ?